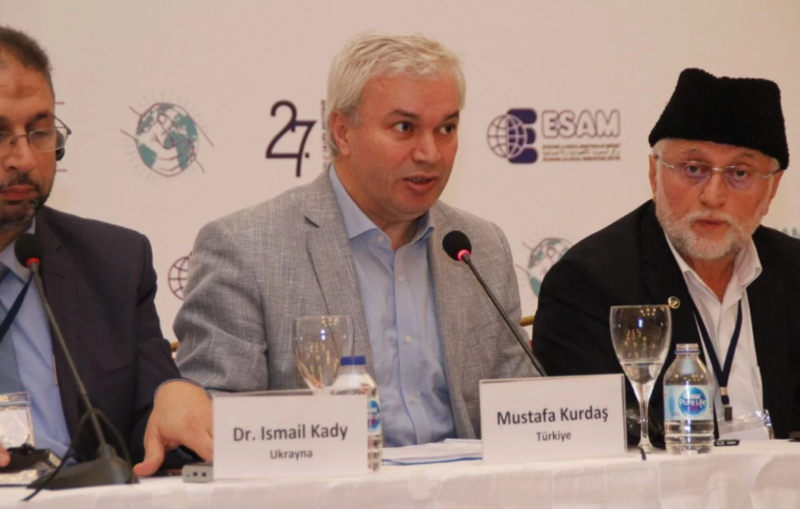 "humanity Needs The Islamic World"
›"Humanity needs the Islamic world"
27th ESAM International Muslim Communities Union Congress discussed the problems of the Islamic world and the necessity of the Islamic Union. The 5th session of the meeting was chaired by Mustafa Kurdaş, the editor-in-chief of the Milli Gazete. Mustafa Kurdaş, editor-in-chief of the National Newspaper, said, “Muslims have sprayed the attacks against them with coming together in history. Today we are under imperialist attacks. Classical wars geographically scour the cities, but societies can come from these wars. Today, it is very difficult to overcome the psychological wars. When human is obtained, soils can be obtained. Perhaps you can stand up a nation occupied with bombs and weapons, but you don't stand up to a nation whose minds are occupied. Therefore ideas are very important. The idea of ​​our Erbakan Hodja; It was to establish the Islamic Union. The idea of ​​the Islamic Union is not a dream. As long as the Islamic Union is not established, it is not possible to establish a balance of justice on earth." Speaking from Palestine, Munir Shafeq said, "The Palestinian case is going through the most difficult period today. 100 years later, a new era for the Palestinian case is entered. Here the fight will not end. We are opening a new door as Palestinians. The current Palestine is not Palestine in the past. Zionism cannot breathe, they are in fear, they cannot sleep. If you look at the most recent events, Zionism has gone down. Why, there is a people who struggle with unbeatable patience. There is a struggle to reach his right. If Israel is launching a missile, it can dispose of its missile in Israel. The Palestinians are struggling. If you are united, no power can stand. There will be no power in the Islamic world if there will be a coupling. We have entered a new era in the Islamic world. There is a resistance for the peoples to awaken."